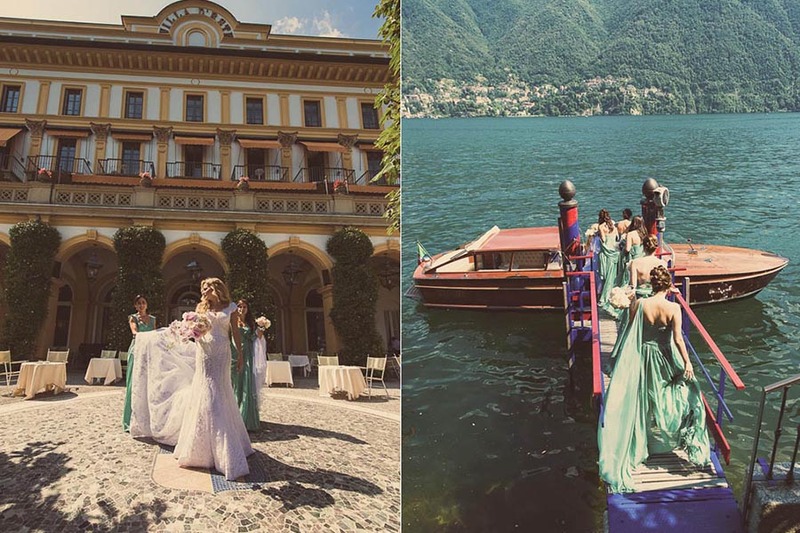 If you are going to photograph a wedding in Italy, you are bound to get excited. Italy is such a lovely country, with its amazing architecture, arts, venetian waterways, Tuscan landscapes, wines, truffles and much more! Naturally you are going to enjoy all that. But if you are wondering how your Italian wedding photography can go smooth, there are certainly a few things to remember and you can achieve that. Here they are. When you have to shoot a wedding in Italy, or any destination, as a destination wedding photographer in Italy you have to embed the culture there in your wedding photographs. Nothing else can be better than scouting the locations for this. Do this 2-3 days before the wedding day. Italy has many interesting wedding traditions. Discuss with your wedding couple if they are getting married according to the Italian traditions and if they are, prepare accordingly. E.g. throwing rice at the newlywed couple after they come out of the Church or wedding hall is an Italian tradition to symbolize fertility. In some regions of Italy, the bride and groom need to cut a log into two with a double handle saw to indicate the couple’s partnership. Another interesting tradition is to tie a ribbon in front of the church to represent ‘tying the knot’. You can include all these traditions in your photographs (with the couple’s permission of course) to make the photographs look truly exotic. Many photographers look at a destination wedding as a free vacation, when it is actually exactly opposite. You should make sure you are paid well for your time out of your office, and other expenses. Most photographers lose money photographing a destination wedding. Don’t let that happen with you. The best way to ensure this is to make a contract. Include all the information in the contract including logistics and travel fees. Include details about what the client is responsible for covering and be fair to include also what you are responsible for covering. The client is supposed to cover airfare for 1 or 2 photographers (you and your assistant or partner). You can find this tip particularly useful in a foreign country. The main reason for it is prevention of theft which can happen with you in Europe. Having your gear in a backpack will ensure it will be always with you. When you carry a suitcase and board a train, you have no other choice than to place it in the overhead compartments or in luggage areas spread out in the train. Thus you may have to part with your gear and the journey can be of even 4-5 hours. Risking your pricey gear this way is not at all advisable. As a destination wedding photographer in Italy, you should know and follow the hottest trends in destination wedding photography. The popular trend is to shoot in locations which are an experience for the clients, such as a lake or a gondola ride in Venice. Italy has exciting lakes like Lake Como, Lake Orta and Lake Maggiore which can offer the feeling of romance and excitement to your clients. Another interesting trend is “adventure shoots”. These are usually scheduled after wedding in a wilderness setting or a background of rough sea which you will get in plenty in Italy. Adventure shoots may also include a helicopter ride which may take you to the mountain top where you can capture some epic photos of the newlyweds. Follow these tips to become a successful destination wedding photographer and you will enjoy your work to earn from what you love!